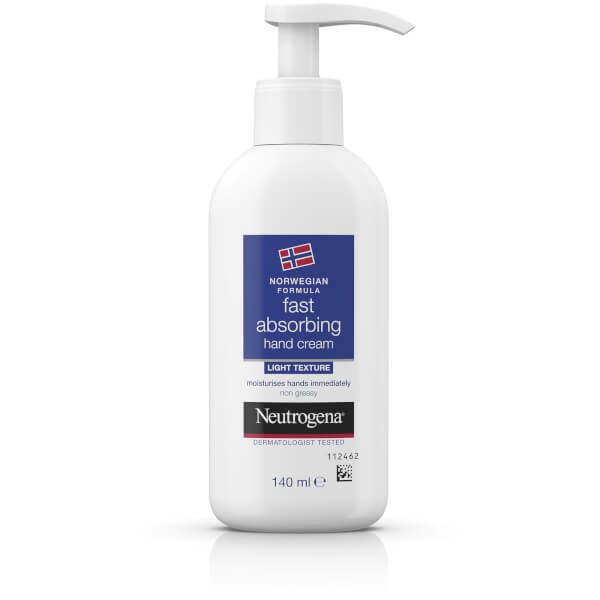 Treat hardworking hands to Neutrogena Norwegian Formula Fast Absorbing Hand Cream, a nourishing formula that instantly comforts and hydrates to leave skin feeling soft and supple. The fast absorbing cream melts effortlessly into skin, delivering immediate hydration and softness that lasts. 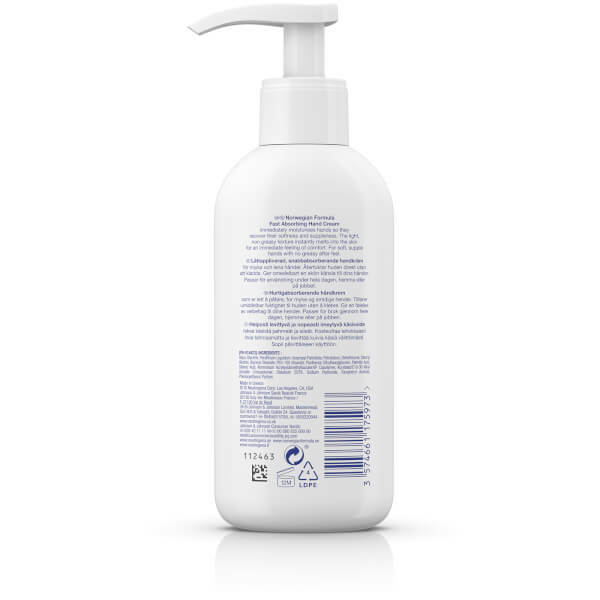 Lightweight and non-greasy, it will leave hands feeling quenched and moisturised with no stickiness of residue. [FPT2022] Aqua, Glycerin, Isononyl Isononanoate, Dimethicone, Cyclopentasiloxane,Cetearyl Alcohol, Cyclohexasiloxane, Cetyl Alcohol, Paraffinum Liquidum, Behenyl Alcohol, Glyceryl Stearate, Panthenol, Xylitylglucoside, Anhydroxylitol, Xylitol, Tocopheryl Acetate, Ceteth-20, PEG-75 Stearate, Steareth-20, Cetearyl Glucoside, Paraffin, Cera Microcristallina, PV/Hexadecene Copolymer, Xanthan Gum, Disodium EDTA, Methylparaben, Phenoxyethanol, Propylparaben, Parfum.